So what does the term “training” really mean within the context of the propane industry? As a general rule, we usually think of training as an event where an individual learns the skills required to conduct job-specific tasks safely. The student attends a training course, passes a written exam and has their newly acquired skills verified in a hands-on evaluation conducted by an authorized instructor. The process of getting propane from the refinery into the customer’s storage container involves many tasks which must be conducted by skilled individuals. Over the years, industry has worked closely with the enforcing authorities to define job-specific training requirements. As a result, there are many recognized training programs available to assist propane retailers and transporters in ensuring their employees acquire the necessary skills. Fortunately, many of the skills can be acquired through training courses with durations of one day or less. The resulting ROT certificates expire three years following the training, and the enforcing authorities require students to recertify. It’s important to remember there are two primary categories of training – theory training and skills training. With theory training, the student gains knowledge about specific topics and a variety of methods can be used to transfer knowledge to the student. With skills training, the student must learn the specific steps to complete a task, see demonstrations of the correct procedures, practice doing it themselves under the supervision of a qualified person and then successfully demonstrate their ability to complete the task on their own. There are a variety of delivery methods which can be deployed to support the learning process. 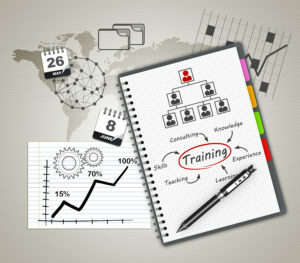 A Training Plan is required to identify the training each job function requires, identifies which job functions require what training, tracks which employees have and have not received the necessary training and provides notification when a certificate or Record of Training is to expire so retraining can be scheduled. Also, the Training Plan addresses Recognized Prior Learning (RPL) for qualifications, which involves the assessment of any existing relevant skills and qualifications. Finally, the Training Plan outlines who will deliver the training, the best method of training delivery, and when and where the trainee needs to go to receive the structured component of the training. 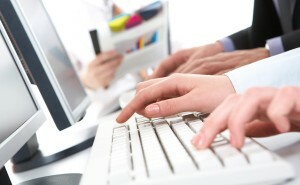 Many organizations use internal Learning Management Systems to track these details. how skills or knowledge will be updated if underlying regulation, instructions or equipment changes during the currency of an existing Record of Training. There are a variety of delivery methods used within the propane industry to provide employees with the training they require. Some methods are more effective than others in achieving the various learning objectives. During the design phase of the Training Plan, the different methods are examined to determine their appropriateness for the learning objectives. Once the best methods are determined, they are applied to the training plan in the development phase. Traditional classroom instruction continues to be the primary teaching method of choice within the propane industry. Students can be scheduled to attend planning courses conducted by qualified individuals. Theory training is addressed in the classroom while skills demonstration, practice, and validation occur outside with the equipment students will use in their job functions. Classroom instruction is provided by individuals who have been trained on how to conduct effective classroom instruction and how to train adults. When delivered by a skilled instructor, classroom training is extremely effective. However, timing, geographic location, and urgency of training may require other methods. When it comes to propane handling skills, the Authorities Having Jurisdiction also prefer classroom instruction since content and instructor skills can be prescribed and evaluated. Often, the quickest way to get a new hire trained is to provide 1-on-1 instruction, which is highly effective when the person (often the immediate supervisor) is already a skilled instructor and can impart years of experience to the instruction. So long as the prescribed materials are fully covered, and the evaluation of the student (both with a written exam and hands-on skills evaluation) meet the criteria of both the curriculum provider and the Authority Having Jurisdiction, then this method can be very effective. When we refer to self-study, we are referring to the student reviewing the theory outside of the formal training event. Providing the student with access to the course materials before training can reduce the time required in the classroom since the theory training becomes more of a review. Self-study is also an excellent way for the student to become familiar with the theory before participating in 1-on-1 instruction. When it comes to safely handling propane, it is critical to remember there is no such thing as self-teach. The student must learn the theory behind the skills AND see a demonstration of the skills, practice them, and be properly evaluated by an approved instructor. In other words, self-study supports rather than replaces classroom or 1-on-1 training. Many companies have embraced the technology of e-learning. It can be an excellent method of imparting theory training. E-learning is a particularly effective way of providing instruction in cases where the content focuses on awareness of topics. Well designed e-learning can test the student’s understanding throughout the process and provide the venue for successful completion of the written exam. However, e-learning cannot provide the proper environment for hands-on skills review, practice, and evaluation. 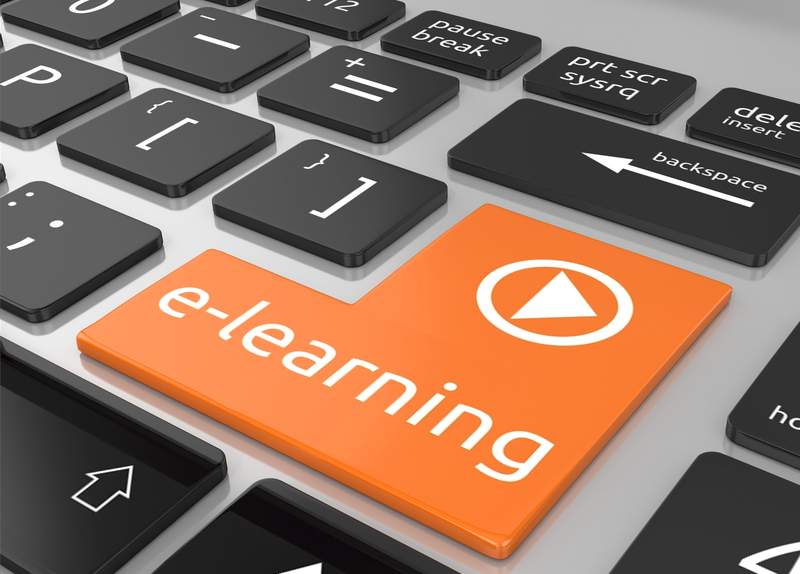 When it comes to training for propane handling, the cost of training is higher when using e-learning since a qualified instructor is still required to conduct the demonstration, provide the environment for the student to practice skills and facilitate the skills evaluation. Also, some provincial Authorities Having Jurisdiction have expressed concerns about this method and, as a result, do not fully endorse e-learning. It’s worth noting that in some jurisdictions, provincial regulators responsible for OH&S training have revoked approval of some e-learning programs that were previously approved. The on-the-job training method takes place in a normal working situation, using the actual tools, equipment, documents or materials that trainees will use when fully trained. On-the-job training has a general reputation as most effective for vocational work. It involves employee training at the place of work while he or she is doing the actual job. On the job training is a critical component of the overall development of the student’s knowledge and skills to perform more complex work, such as loading and delivery of bulk propane by cargo liner or bulk truck. On-the-job training is an extremely effective way to impart theory and skills before the formal training and evaluation, and can serve to support continued skills refinement following training. The Fuels Learning Centre currently offers seventeen training programs related to the safe handling of propane with several more in production. We provide materials to be used in traditional classroom environments as well as self-study. Our companion PowerPoint presentations can be loaded on a mobile device to support 1-on-1 learning or used in the classroom. Our detailed Instructor’s Guides show our qualified instructors how to modify the training to include corporate procedures and adjust for regional regulatory requirements. We work with our clients to help develop customized Learning Plans to use both our off-the-shelf training as well as custom curriculum. 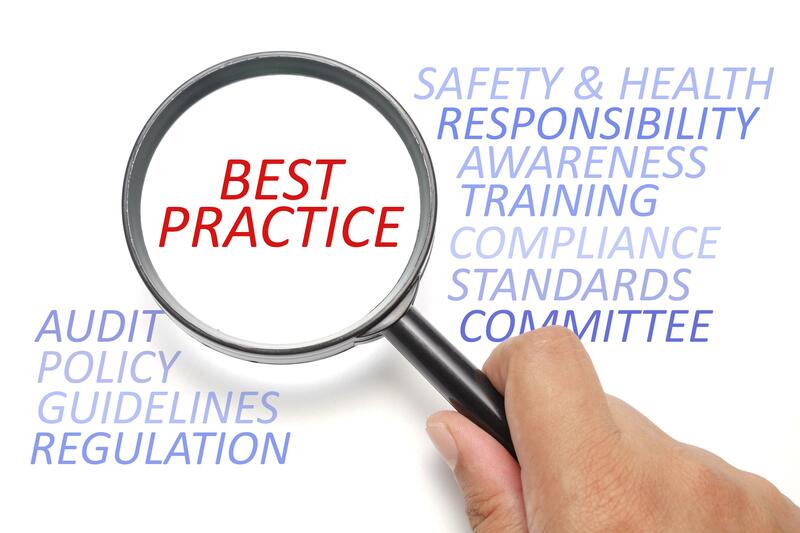 This article, related to the importance of organizations to have and maintain effective Standard Operating Procedures, first appeared in the 2016 May/Jun edition of Propane Canada Magazine. Bill and I were quite surprised, when we received an inquiry at Fuels Learning Centre, from an established propane distributor, going through a government audit, inquiring if we had a “Standard Operating Procedure” (SOP) written for addressing what one must do with an overfilled propane cylinder. The task of filling propane cylinders is a large part of the propane distribution network to the final user, the consumer, and one would have thought that this safety issue would have been addressed by having a written SOP in place. While the company did not have a written SOP in place, to satisfy the auditor, I am sure that the propane cylinder fillers had been instructed and new how to deal with an overfilled propane cylinder. While it would appear that the task of dealing with overfilled propane cylinders was being done, there was no written procedure to ensure that all of the regulatory and safety items are addressed, no established written procedure to which an employee can refer to, just word of mouth instructions. As you know, based on the person’s own experience and work habits, verbal instructions are readily changed from person to person which can easily lead to poor dangerous work habits being perpetually put in place. 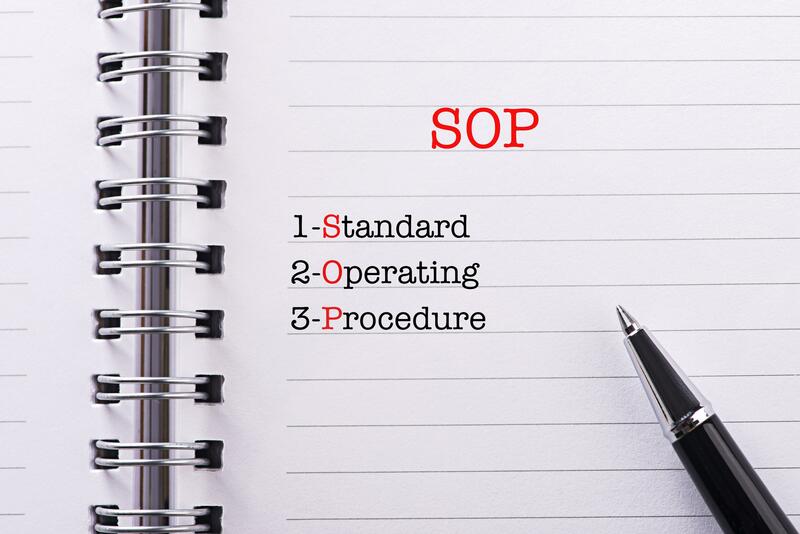 A Standard Operating Procedure (SOP) is a compulsory instruction, a set of step-by-step specific procedure created to help workers carry out routine operations. If deviations from this instruction are allowed, the conditions for these should be documented including who can give permission for this and what exactly the complete procedure will be. The original should be maintained in a secure location while working copies should be authenticated with stamps and/or signatures of authorized persons. 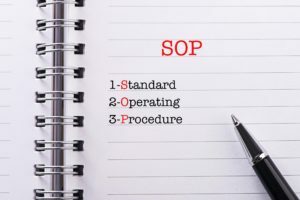 Why do We Need an SOP? Their purpose is to achieve efficiency, quality output and uniformity of performance while reducing miscommunication and failure to comply with industry regulations, provincial laws or even just your own standards for running your business. Any document that is a “how to” falls into the category of procedures. Ontario requires a Risk & Safety Management Plan (RSMP) for propane distribution centres and Environment Canada also requires an Emergency Response Plan for certain sized propane tank installations. Other than these two requirements the Regulations, Standards and Codes do not specifically have a requirement for an SOP. In these cases, the development of SOPs is a voluntary guideline that the company can identify as a best practice. Organizations looking to become the best in their industry, demand SOPs as part of defining their standard of work. Workers who are following established SOPs have more confidence that their actions are supported by management, the underlying statutes or regulations, and that they are following industry best practices. Using Standard Operating Procedures regularly leads to fewer corrective actions. If there are legal ramifications to your work, then following your procedures reduces liabilities. Customers are entitled to dependable product or safe service delivery based on established and accepted measures, not on any one worker’s personal values, and not varying from one geographic area to another. The important task of writing policies and procedures rarely gets the respect it deserves. Most people recognize the need for having standard policies, but standard operating procedures often get viewed as a necessary evil. Just because you have a written SOP does not mean that all is well. Written SOPs can fall into two categories, “good” and “bad”. It’s the bad procedures out there that are the problem – they give all procedures a bad name! A poorly written SOP can create as much trouble as not having one at all and can, in fact, provide misleading information leading to an incident. It is, therefore, not only good enough to have a written SOP but one that is correct, addresses all of the safety and regulatory issues and falls into the “good” category as listed below. Good procedures and work instructions provide a way to communicate and apply consistent standards and practices within your organization. But, BAD procedures can be as disastrous as no procedures at all! don’t get read or used. Which tasks are to be completed? (what to do, how often and to which standard or criteria)? Did you answer what needs to hap-pen, clearly? Work Instructions define the “how to” information to complete steps in a task mentioned inside an SOP. Work Instructions are action-focused. They may include a “list” of steps, a checklist, or pictures of dials, switches, or computer screen shots with annotations. Make sure to label the information in a way that tells the user what to expect. Pictures may speak a 1,000 words, but it’s the annotations that clarify the meaning. Work Instructions focus on “how” typically, the person is to perform the task. While Work Instructions usually assume the individual has the capability in the general area being addressed, SOPs and work instructions are NOT meant to be a substitute for training! Instead, they should be a companion to training and should reflect what is covered in the training. changes to how supporting training courses deal with specific procedures. We have created an example of a typical SOP for handling overfilled propane cylinders by transferring the product into another propane cylinder. Each company is responsible for writing the SOP to meet their specific requirements. How overfilled propane cylinders are handled will depend on the dispensing location and the specific equipment available. This article, related to TDG Training Requirements, first appeared in the 2016 Mar/Apr edition of Propane Canada Magazine. This article addresses some of the questions posed to us at Fuels Learning Centre with respect to the Transportation of Dangerous Goods (TDG) training requirements. While the TDG training requirements have been in place for many years it does not hurt to occasionally review and discuss the TDG training needs of the propane industry. 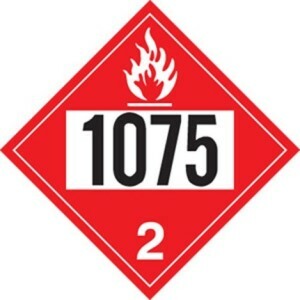 Part 6 of the Transportation of Dangerous Goods Regulations provides the regulatory requirements for training for persons who, handles, offers for transport or transports propane must be trained in those functions. Transport Canada (TC) has published guidelines that are intend-ed to help employers determine which employees should be trained and what should be included in the training. How to train employees is not mentioned in the regulations. Training may be done through a combination of formal “in-class” training, on-the-job training, and extensive work experience. It is up to the employer to decide. The employer must provide an employee with a Training Certificate as proof of training indicating the specific training an individual has received. Self-employed individuals must also determine if they are adequately trained and issue them-selves a training certificate. I would encourage employers and those who are self-employed to visit the TC website to ensure that you are complying with all of the training requirements. The TDG Regulations do not require a person to be trained to handle, offer for transport, and transport propane as long as they are doing so under the direct supervision of a trained person. The key to understanding this requirement is the words “direct supervision”. Neither the TDG Act nor Regulations define “direct supervision”. In cases as this where the regulatory requirements do not define a term we look for other published definitions. For example, Ontario Regulation 215/01 Fuel Industry Certificates defines “Direct Supervision” to mean “the supervision provided by a supervising certificate holder who is on site in close proximity to a trainee and is available to assist and supervise the trainee”. Another definition is provided by a Legal Definitions website, which states; “Direct Supervision generally means to be physically present, or within an immediate distance, such as on the same floor, and available to respond to the needs of something or someone”. As you can see the industry best practice, in this case, is to ensure that the person providing the direct supervision is present or in close proximity to the person under supervision. One thing to remember is that if you are providing “Direct Supervision” to a person, you are responsible and accountable for that person’s actions. If there is an incident and it is shown that the person under your direct supervision was not properly supervised, you were away from the transfer facility or not in the cab of the truck, you can and will be the one held responsible. It is therefore in the supervisors and the employee’s best interest that the employee is properly trained and is the holder of a Training Certificate. 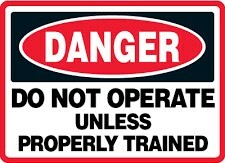 While the TDG Directorate maintains a listing of organizations which provide dangerous goods training, the Directorate does not examine or certify any of the courses offered and the listing of organizations does not imply endorsement or approval of the training offered by Transport Canada. Some employees may only need training in the aspects of the regulations that are directly related to their work. If a tank truck, cargo liner or cylinder delivery vehicle is loaded by a plant person, then that plant person may only need specific training in relation to the offering for transport and handling of propane. Conversely, a driver who drives the truck will require training in transporting and for unloading, handling. In this situation, it is the employers’ responsibility to deter-mine what constitutes adequate training for their employees. To make it simpler for employers to determine what TDG training an employee requires, Fuels Learning Centre embeds the necessary TDG training requirement in our cylinder/automobile filling, tank truck, cargo liner and cylinder delivery training modules so there is no need for persons performing those functions to take an additional TDG training program and no guess work on the part of the employer on whether the employee received the correct training. An employer can feel comfortable that the employee has received the correct TDG training and issue a TDG Training Certificate to each student who successfully passes the training module. Also by embedding the necessary TDG training within the training modules saves time and money. 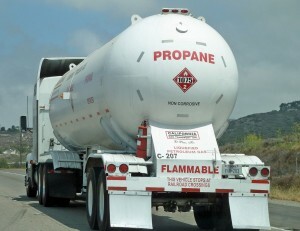 Regulations stipulate that no person shall import, offer for transport, handle or transport propane unless the person complies with all safety and security requirements, the propane is accompanied by the required documentation, and that the means of containment and transport vehicle used comply with all safety standards and display all safety marks required by regulation. 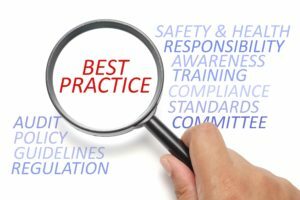 The responsibility for compliance falls on multiple parties, although there are three primary categories of people who work with propane depending on their specific job functions. refinery workers who load propane into rail cars for shipment. The person who offers for transport is the person who, for propane not in transport, selects or allows the selection of a carrier to transport the propane, to prepare or allow the preparation of the propane so that a carrier can take possession of the propane for transport or to allow a carrier to take possession of the propane in transport. The offerer of propane is also referred to as the consignor. Individuals who bill customers for the shipment of propane. 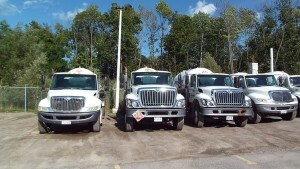 Operators of other vehicles carrying propane such as cylinder trucks and crane trucks. Some individuals may fall into more than one of the above three categories and the level of training they require to meet the regulatory requirements depends on the scope of their individual jobs. Emergency Response Assistance Plans (ERAP) requirements if a plan is required. The proper selection and use of means of containment for propane. The Emergency Response Assistance Plan requirements (ERAP) if a plan is required. Requirements for parking, loading and vehicle inspection which may apply. We have been asked many times about the requirement for TDG training for individuals who fill cylinders at retail filling centres. The 150 kg and 500 kg exemptions in the regulations remove the training requirement, however, the exemption is limited to cylinders up to 46 L in capacity. 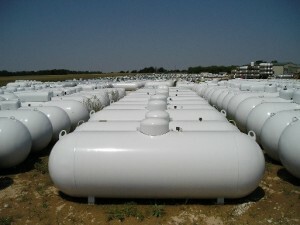 The Small Means of Containment exemption does allow for larger cylinders, however, the exemptions only apply to the transport of the propane and not the handling. Therefore, if your employees are going to be filling cylinders larger than 40 pounds in capacity, they must have TDG training specific to the handling of propane. At Fuels Learning Centre we not only embed the required TDG training but also, dependent on the training module, we embed other specific training requirements a person needs to complete the tasks required for their job. 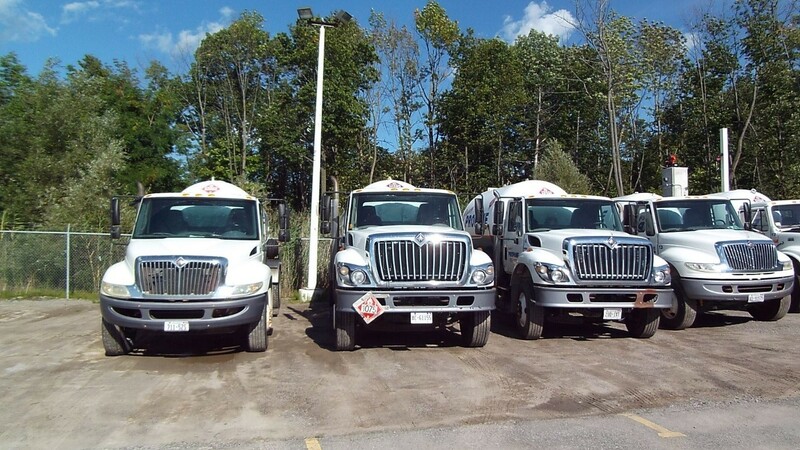 For example, a version of our tank truck driver training course includes inspection of propane tanks and pressure relief valves, truck-to-truck transfer requirements specific to each province and directions for how to safely light appliances for fuel outages. This article, related to the inspection of propane systems on recreational vehicles first appeared in the 2016 Jan/Feb edition of Propane Canada Magazine. In recent articles, I have mentioned that the province of Ontario is in the process of developing Code Adoption Documents (CAD) that would amend and adopt the 2015 B149 series of codes. One of the new requirements is the inspection of propane systems installed on Recreational Vehicles (RVs) equipped with a permanently mounted propane tank. Proposed revisions in the Ontario 2016 Propane Code Adoption Document will require RVs equipped with permanently mounted propane tanks to have the pro-pane appliances, propane piping system and tank inspected on a five-year cycle. 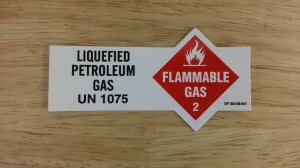 An RV that successfully passes the inspection process will be affixed with two labels to identify that the unit is acceptable to the Authority Having Jurisdiction (AHJ) for the onboard propane tank to be filled. The RVs in question are actually motorhomes, as these are the only RVs that have permanently mounted propane tanks. Other RVs are towed vehicles that use propane cylinders to supply fuel to the propane appliances installed in the units. The only difference with respect to the propane systems on board between the motorhomes and towed RVs is the actual propane container; the piping systems and appliances are installed in accordance with the CSA standard regardless of whether the unit is self-propelled or towed. 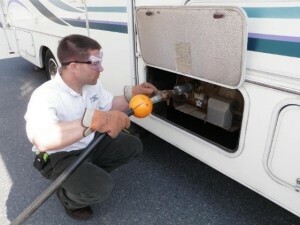 To obtain the two labels a motorhome owner will have to take the unit to an RV dealer, propane supply or heating contractor who has the staff with the appropriate propane certificates to inspect the appliances and piping system and issue a certificate indicating the appliances and piping system are acceptable. Then, the owner must take the unit to a Technical Standards & Safety Authority (TSSA) Registered Conversion Inspection Facility to have the tank inspected by a person with an ICE certificate. The Registered Conversion Centres will be the only ones able to obtain and affix the two labels required directly from TSSA. To provide some perspective on the magnitude of the inspection requirement, there are currently over 25,000 licensed motorhomes in the province of Ontario. If the requirements in the CAD are adopted, each motorhome will require 2 inspections, by different service providers, so that the owners can have affixed the labels that will permit the propane filling attendant to fill the propane tank. This works out to a total of 50,000 inspections. There is also a question with respect to new motorhomes sitting unsold on dealer lots. Unless the dealer puts the motorhome through the inspection process, these brand-new units at the time of sale will not have the two propane labels required in order for the propane tank to be filled. This means that the first thing the new owner must do is arrange for his/her brand-new unused unit to go through the 2-part inspection process in order to obtain the necessary labels. I suspect that one of the drivers for the inspection of the propane tanks on RVs may be the requirements for the inspection of tanks and fuel systems on converted vehicles where propane is used as an engine fuel. Vehicles converted to run on propane are usually fleet type vehicles such as taxis, limousines, and delivery which are on the road every day 365 days a year regardless of the weather conditions. Conversely RVs are usually limited to summer use and in the winter are relocated to the southern climates where snow or ice and salt does not have the same impact on exposed propane tanks. If there is a need, risk or safety driven, to inspect the propane piping and appliances on a motorhome, one must ask, why would these requirements not apply to a towed RV as these vehicles operate in the same outdoor environment? While I can appreciate that the owner of a towed RV can remove the propane cylinders and the filling attendant may or may not see the RV, reducing control for compliance, the inspection requirements of the propane piping system and appliances on motorhomes creates an uneven playing field between an RV that is self-propelled and one that is towed. 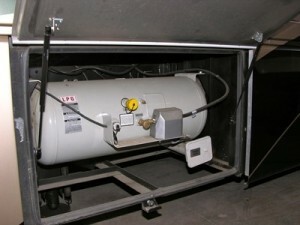 If the risk is the corrosion and failure of the permanently mounted exposed propane tank, then it would make sense to look to the inspection of the tank only, say on a 10-year cycle, which would, in essence, parallel the propane container inspection required for propane cylinders installed on towed RVs. The current inspection model being promoted in Ontario is risk-based where the assessed risk drives the frequency of inspection. While there certainly have been incidents in the past with the propane systems and appliances installed on RVs, we have no sense of the frequency nor have we seen any data to indicate the risk to the general public warrants the inspection the propane systems and appliances on a regular basis. I did a considerable amount of research, on the TSSA website, Yellow Pages, 411 and speaking with people in the industry in an attempt to identify the number of TSSA Registered Conversion Centres that could perform the propane tank inspection and affix the two labels. My best guesstimate is less than 25 such facilities that are primarily located around the Golden horseshoe. Two facilities were located in Sault Ste. Marie. My research failed to identify whether all of these facilities could accommodate the inspection of propane tanks on large motorhomes. For example, I was told that Canada Post has a registered conversion centre which is used strictly for their own vehicles and would therefore not be available to inspect propane tanks on motorhomes. My question is, if I had trouble finding the location and number of registered conversion centres, how would one expect a motorhome owner to find this information. Given the limited number of inspection facilities, their geographic locations, and the sheer number of motorhomes to be inspected the proposed requirements will create a substantial barrier to compliance. This will disadvantage the motorhome industry in Ontario and could very well deter the consumer from purchasing a motorhome to be licensed in the province. 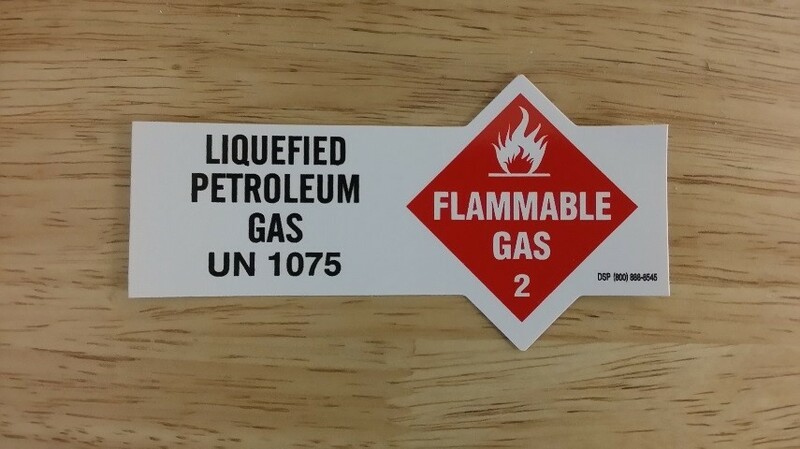 In addition, propane filling attendants in Ontario will require training to identify and recognize the new label requirements. The requirements will also need to address out-of-province or out-of-country motorhomes that can either be vacationing in Ontario or travelling through. How will these owners get propane if they do not have the necessary labels attached to the vehicle? The propane fill attendants are instructed not to fill any propane tanks on vehicles unless the vehicle has the appropriate labels displayed to show that it meets the requirements for the province of Ontario. I have been retained to assist the Ontario RV Dealers Association in an effort to address the issues identified. A letter outlining the issues has been sent to the chair of TSSA’s Propane Risk Reduction Group. At the time of writing this article, we are awaiting a response. This article, related to incorporating B149 code changes into daily operations, first appeared in the 2015 Nov/Dec edition of Propane Canada Magazine. My last few articles have provided information and discussed the ramifications of the regulatory impact the 2015 editions of the fuels and pressure vessels codes and provincial regulations will have on the propane industry. I like to believe that one of the purposes of these articles is to provide information on the regulatory regime as it develops so that company owners and users of the relevant code and regulations can be proactive rather than being reactive to new requirements. This got me to thinking that it is great to provide this information but what does a person do with it once they have received it? If the information ends with the reading of the article and no further steps are taken, then the regulatory impact will result in a non-compliant position subject to the legal means available for enforcement of the codes and regulations by the Authority Having Jurisdiction. I learned long ago that knowledge, and the ability to translate that knowledge into workable solutions, is key to being proactive and keeping one step ahead of the game. I would, therefore, hope that my articles provide the trigger for readers to take the next steps. Steps might include identifying areas requiring additional or new development of policies and procedures, as well as to identify training initiatives necessary for employees to continue to complete their tasks in an efficient, cost-effective, and safe manner. 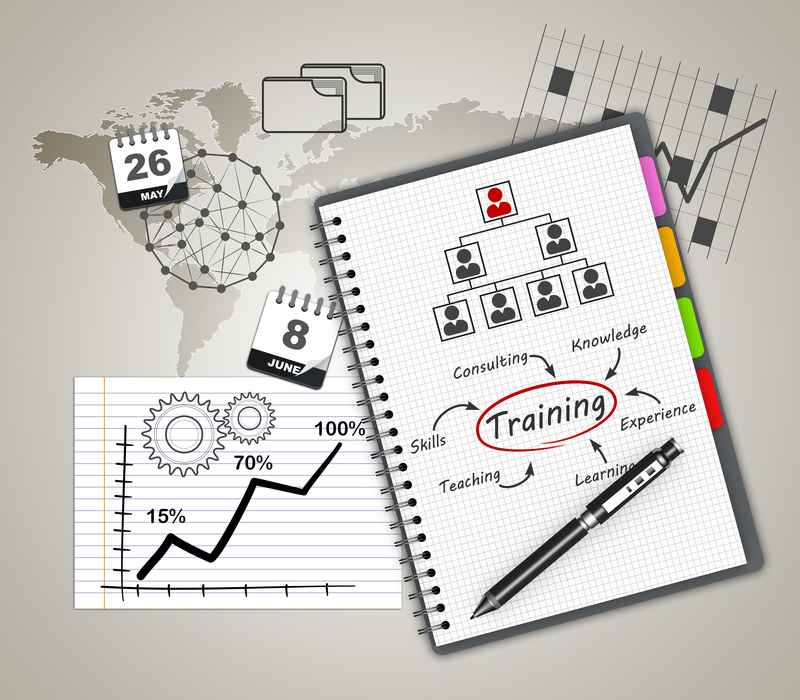 Training is very vital in any company or organization that aims at progressing. Training simply refers to the process of acquiring the essential skills required for a certain job. It targets specific goals, such as understanding a process or operating a certain machine or system. It is common knowledge that a properly trained person becomes more informed about procedures for the various tasks he or she must complete and that the person’s confidence is also boosted by training and development. This confidence comes from the fact that the per-son is fully aware of his/her roles and responsibilities. It also helps the person to carry out the duties in a better way and even find new ideas to incorporate into the daily execution of duties. 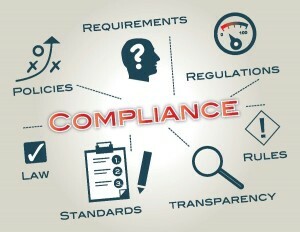 Regulations are written in what I describe as “legalese” which means that the lay-man’s clause wording developed and accepted by the working Technical Committees is reviewed and possibly edited by lawyers to ensure that the clause requirement meets the minimum standard required for enforcement by the Authorities Having Jurisdiction. This sometimes ends up with the clause not being quite as clear or concise as it was when the technical committee first developed the clause and therefore makes it difficult for the worker in the field to feel comfortable interpreting the requirement. This is where the policies, procedures, and training come into play by ensuring, whether a person is a technician, fuel delivery person or plant operator, that each person in that position gains similar skills and knowledge. This brings each position to a higher uniform level, making the workforce more reliable in completing the task correctly the first time. When one understands the requirements for uniform regulatory knowledge, the legalese of the written clauses, and the need for new technical knowledge, the need for effective training becomes evident. The training of technicians, fuel delivery personnel and plant operators is just not as simple as giving those persons a copy of the latest code and provincial regulations. While there have been numerous changes within the 2015 code editions, there are three primary regulatory initiatives which will require propane company owners and users of the codes and regulations to develop and/or edit existing policies and procedures. These changes will also require training of staff to ensure they can correctly complete the tasks required for the company to meet its regulatory compliance obligations for 2016 forward. As previously stated in my May/June 2015 article on this subject, it is my opinion that this requirement is most likely going to be the most challenging regulatory requirement the propane industry has faced in its history. This single requirement will put a tremendous strain on the industry’s resources, people, equipment, and finances. Even before there is any field activity on the replacement of PRVs it is essential the company have in place the necessary policies and procedures and trained staff to perform the actual field work. This means that companies should already be diligently working on developing their policies and procedures, identifying relevant training programs, and scheduling the training of technicians, helpers, and bulk truck drivers as soon as possible. There are extensive new requirements that affect how propane cylinders are stored and used on construction sites. As with the PRV change out, companies will be required to provide new/edited policies and procedures and additional training for cylinder delivery personnel. Several provinces and territories automatically adopt the latest edition of the code once it is published. For example, the B149.2 Propane Storage and Handling Code was published by CSA in Au-gust 2015. 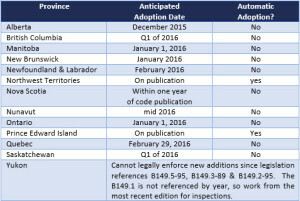 Provinces and territories that have not already adopted the 2015 code will be doing so in 2016. This means that some delivery personnel delivering to construction sites for the 2015/2016 winter construction heating season must be trained in the new requirements. In addition, the company must have in place policies and procedures describing how the Company will deliver propane cylinders to the construction site. The purpose of the new clauses in the code is to provide a minimum standard for the operation and maintenance of propane facilities and equipment. The new clauses apply to tank systems, filling plants, container refill centres and other facilities where liquid propane is piped to a vaporizer or process. Because there are many variables, it is not possible for the Code to prescribe a set of operation and maintenance procedures that will be adequate from the standpoint of safety in all cases without being burdensome and, in some cases, impractical. The proposed clauses establish a baseline or minimum standard. The maintenance procedures are to cover testing, inspection, monitoring, and documenting of the equipment, its repair, and general upkeep. There is also a requirement for persons who perform maintenance on facility propane systems to be trained in the hazards of the system and in the maintenance and testing procedures applicable to the facility. Once again, this requirement is already in place in some provinces and territories and will be coming into force 2016 in those provinces and territories that do not automatically adopt the latest edition of the code. These new requirements will require some companies to develop new policies and procedures with respect to maintenance of the propane facilities described and others to edit the policies and procedures to address the new requirements. Also, the training component is new within the code and therefore will require the identification of relevant training programs and the scheduling of personnel to take the training. It is my hope that this article will be the catalyst for the reader to become proactive and to take the next necessary steps to ensure that his or her company develops the policies and procedures, identifies the training initiatives required, and schedules the training of staff to meet the new regulatory obligations. The Fuels Learning Centre has developed an extensive training program covering all of the aspects listed above for evacuating propane tanks regardless of location and the change out of the PRV. The course is currently being studied by several Authorities Having Jurisdiction across Canada for their review and comment, as is the process for all new courses related to regulated activities. It is anticipated this course will be available for our Instructors to conduct training on or be-fore January 1, 2016. Also, we have developed a new course to address the requirement for persons who perform maintenance on propane facility systems to be trained in the hazards of the system and in the maintenance and testing procedures applicable to the facility. We expect this course to be available for our Instructors on or before January 1, 2016, as well. Our training courses for cylinder delivery and installation of construction heaters already provide the 2015 code requirements your staff and customers will require in order to complete their duties and keep the company in compliance for the 2015/2016 winter construction heating season. This article, related to Ontario code adoption documents, first appeared in the 2015 Sep/Aug edition of Propane Canada Magazine. I normally try to write articles on the regulatory and technical issues which apply equally across all provinces and territories. However, with the new 2015 B149 series of codes being published by CSA this past August, many of the Authorities Having Jurisdiction are now in the process of developing code adoption documents to adopt the 2015 versions. I will report on the activities of each Authority Having Jurisdiction as they progress towards the adoption of the 2015 codes. As previously reported, Ontario issued an Ontario Code Adoption Document (CAD) in August 2014 which continued the adoption of the 2010 editions of CSA-B149.1 and CSA-B149.2. The purpose of this 2014 CAD was to not only continue the adoption of the 2010 Codes in Ontario but to adopt as early as possible many of the 2015 Code requirements that Ontario felt were important to put in place as soon as possible. The 2014 CAD became effective October 1, 2014. The next round of Ontario amendments to the CSA-B149.2 Code will be released January 1, 2016. The 2016 CAD drops the 2015 Code requirements listed in the 2014 CAD. Annex Q is added for requirements for use of non-refillable cylinders in classrooms in schools. The following are the primary Code amendments/edits that will appear in the 2016 CAD. New definition to clarify what a cylinder exchange is, for the purpose of licensing and the respective requirements. Cylinder Exchange means a type of a propane cylinder handling facility where propane in refillable cylinders are sold or other-wise distributed to an end user, with cylinders stored in no more than four (4) cabinets and each cabinet contains no more than 500 lb. of propane. When TC-4BWM18 cylinders, with a propane capacity of 40 lb. (18 kg) or less, used in cutting or welding applications are requalified, they are exempt from having a cylinder valve that does not permit the flow of propane until a positive seal has been achieved. When requalifying TC-4BWM18 cylinders, valve replacement may be made by using a valve outlet conforming to the CGA 510 standard, not requiring a positive seal and with a PRV set at 405 psi. This CAD requirement is to require all equipment fueled with propane, including ice resurfacing machines, to be subjected to the same requirements. Therefore, clause 5.11.3 in the Code is revoked. The new clause states that when equipment, such as an industrial tractor, lift truck or ice resurfacing machine, is fueled by propane and is used indoors, the area shall be ventilated in accordance with the requirement of Table 5.1 as found in the code. RVs which have permanently mounted propane tanks for fueling the appliances will have to have two labels of approved design, affixed by a licensed conversion centre certificate holder. The labels are to be affixed on the rear window or side window nearest the fill connection, at the door latch, or in the glove compartment. The CAD requires that the appliances be inspected every 5 years in accordance with the B149.1 and the inspection reports are to be provided to the propane conversion centre. The copy of the inspection report must be no older than 90 days when received by the propane con-version centre. To inspect an RV will require that a valid G1, G2, RV1 certificate holder inspect the appliances and the inspection of the tank and associated liquid piping and components be inspected by a holder of a valid Internal Combustion Alternate Fuel Technician, Propane (ICE-P) certificate. Also, the inspection of the tank and associated liquid piping and components is to be carried out at a registered vehicle conversion centre. The use of passenger escalators is removed as this is not an acceptable practice. Vehicle impact protection will not be required for protection of 20 lb. 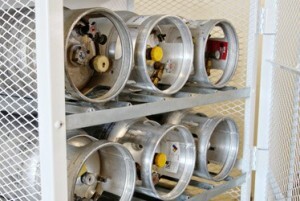 propane cylinders where the cylinders are kept in lockable ventilated cabinets of metal construction. It was submitted by the industry group that it is proven cylinders are well protected with cages of metal construction. The same requirements were adopted in IFC and in the process of adoption in NFPA. The filling of cylinders under 100 lbs. from bulk trucks shall comply with Annex P of the CAD. Written procedures are available for filling cylinders from a bulk truck. All installed tanks will require a recorded tank inspection every 10 years, in accordance with National Board Inspection Code (NBIC) inspection and acceptance criteria. The CAD provides clauses to adopt the requirements in the new edition of B51 and allows a grace period of seven (7) years for tanks greater than 2,500 USWG and ten (10) years for tanks of 2,500 USWG or less. Each operating company should have a plan and start acting as soon as these requirements come into effect. Pressure relief valves (PRV) of tanks are to be visually inspected periodically to ensure that there are no impediments that will prevent them from operating properly. The frequency of the periodic visual inspection depends on the operating environment and the manufacture’s recommendation. The PRV inspection is to be recorded at a minimum interval of every five (5) years. The record must include the date of in-spection and the person carrying out the inspection. the rain cap, where applicable, has been installed. Tanks of greater than 2,500 USWG must have the relief valves rebuilt/certified or replaced every 10 years. All overdue relief valves are to be rebuilt/certified or replaced by January 1, 2023. Tanks of 2,500 USWG or less must have the relief valves rebuilt/certified or replaced every 25 years. All overdue relief valves are to be rebuilt/certified or re-placed by January 1, 2026. 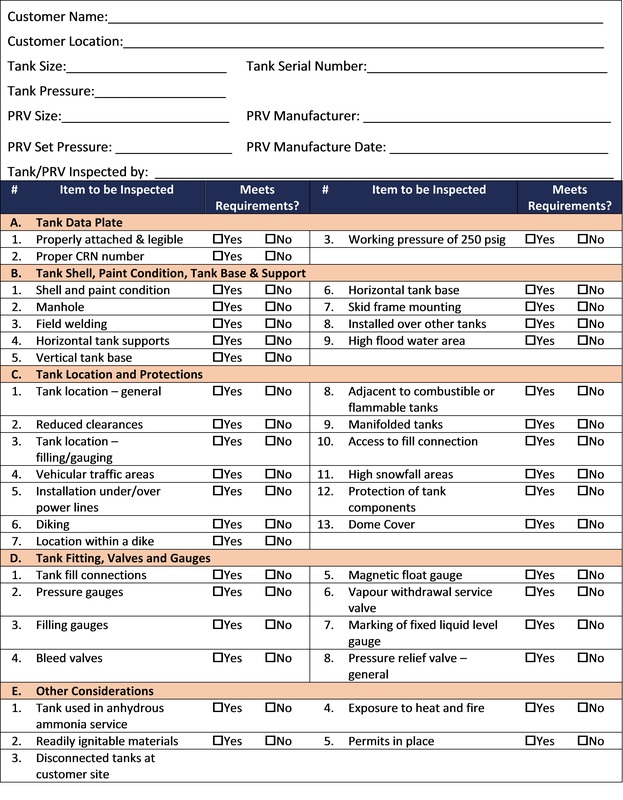 Tank owners must develop a plan that provides an achievable pathway for full compliance with the PRV replacement requirements for tanks regardless of size within the implementation periods stated above (January 1, 2023 & January 1, 2026). The plan must be developed by July 1, 2016.
records of this information shall be held by the distributor and may be kept in hard copy or electronic format. *Not all valves will have a nameplate. If there is no nameplate the markings are stamped into the body of the valve. All valves should be marked with the manufacturer’s name or an abbreviation, the manufacturer’s part number, set pressure, capacity, date or date code for the year of manufacture, and the UL rating code symbol. The CAD provides an Annex Q to address the use of non-refillable cylinders in classrooms. In this article I have attempted to raise awareness on the issues I believe will most impact the Ontario propane industry. There are a few requirements within the 2016 CAD that are carryovers from the previous 2014 CAD and some requirements with slight amendments to them. It is, therefore, important that each person who works under the B149 series of codes obtain a copy of the final, approved 2016 CADs for propane storage & handling, natural gas installation, and vehicle conversion codes to become familiar with their requirements. The CADs, when issued, will be available on the TSSA website. This article, related to the adoption of 2015 versions of B149 codes, first appeared in the 2015 Jul/Aug edition of Propane Canada Magazine. I recently chaired the CSA B149.1 Natural Gas & Propane Installation Code Technical Committee meeting and attended as a member of the CSA B149.2 Propane & Storage & Handling Code Technical Committee meeting Niagara Falls, Ontario. As you are all aware CSA will be publishing the latest editions of the B149 series of Codes in August 2015. I thought this would be an opportune time to provide information on the provincial and territorial adoption dates of the Codes and to reiterate a couple of sections of the new Code that I believe need to be highlighted, namely maintenance and operating procedures and PRV replacement in cylinders. Also, this edition of Propane Canada magazine is focusing on temporary heat; so I thought it would be appropriate if I highlighted some of the key regulatory changes coming in the next Code edition with respect to construction heating. One of the agenda items was the adoption of the 2015 B149 series of codes. The following chart provides the latest proposed adoption dates for each of the provinces and territories. While this is the latest information available it is best to follow up on a regular basis with your provincial or territorial Authority Having Jurisdiction to see if the dates listed will actually be implemented. New clauses for construction sites, tank heaters, vaporizer installations and propane storage facility operation and maintenance. Simplified references and definitions allow for improved application of the standard’s clauses. CSA is currently offering, on their web-site, several different 2015 B149 Code packages that you can pre-order. CSA will also be publishing a handbook for the B149.1 Code. The latest technological advancement is a complete inter-active version of the B149.1-15 and the B149.1-15 Handbook for your iOS or Android tablet or mobile device. The purpose of the new clauses in the code is to provide a minimum standard for the operation and maintenance of propane facilities and equipment. The new clauses apply to tank systems, filling plants, container refill centres and other facilities where liquid propane is piped to a vaporizer or process. Because there are many variables, it is not possible to prescribe a set of operation and maintenance procedures that will be adequate from the standpoint of safety in all cases without being burdensome and, in some cases, impractical. Industry association publications and training programs provide guidance to individuals preparing site specific procedures and may be referenced. The proposed clauses establish a baseline or minimum standard. The maintenance procedures are to cover testing, inspection, monitoring and documenting of the equipment, its repair, and general upkeep. This requirement addresses the conflict between the B149.2 Code and the CSA-B339 Standard currently adopted by Transport Canada. The new clause means that the owner of a propane cylinder equipped with a pressure relief valve, previously exempted from replacement by their installation under the dome cover, will now have no conflicting requirement to be used as an argument for not replacing the pressure relief valve at the time of the 10-year cylinder inspection and requalification. In fact, the new clause is very specific by stating that the PRV is to be removed and replaced with either a new relief valve or one that has been tested to and complies with CGA S 1.1, and found acceptable for use. The clause also requires that a replacement valve has the PRV and dip tube length sized for the cylinder. There are also new record-keeping requirements listed in the Code which require the facility conducting the visual inspection and requalification to maintain records showing the results of the inspection and requalification until the date of expiration of the requalification period; or the date the cylinder is reinspected. Personally, it is my opinion that anyone not already replacing the PRV, at the time of requalification of cylinders, such as 420 lb. propane cylinders have been putting non-compliant propane cylinders back into service. The requirement to replace the PRV at the time of the visual inspection and requalification for PRVs protected by a dome cover has been in the CSA-B339 for several years. The chart indicates that provinces will be adopting the 2015 Codes in the middle of this heating season. This means that you must be aware of the new and amended requirements for temporary construction heat. The main focus of the new requirements is the storage, handling and use of propane cylinders at construction sites. In order to understand how the new requirements will impact their day-to-day activities, cylinder delivery and bulk truck drivers who service the sites must have the knowledge of how to comply with the new requirements. Connected for Use – this new definition is to clear up the confusion as to whether the propane cylinder is in use or storage when connected to a construction heater and the construction heater is not operating. The definition stipulates that a propane cylinder connected to an approved appliance (construction heat-er) regardless of whether the heater is operating or not is to be considered in use, not storage as some have interpret-ed in the past. Construction Site – the clause expands on what exactly is a construction site and provides the guidance as to when the site can be considered a construction site for the storage, installation, and use of propane cylinders. 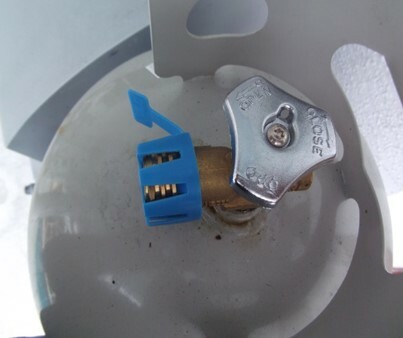 Cylinder Not Connected for Use – requires cylinders not connected for use to be housed in acceptable storage sites and further clarifies that a propane cylinder connected for use is not considered in storage. Storage of Cylinders – Provides storage requirements and, under certain conditions, permits cylinders to be stored on the roof of buildings under construction and clarifies acceptable “outdoor” storage by identifying proper and safe storage options that reflect conditions on construction sites. 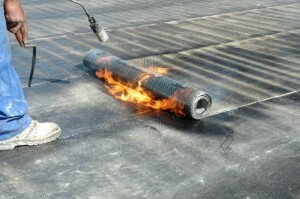 The requirements are based on the hazards (gas accumulation, vehicular traffic, hoisting, etc. ), rather than focusing on the location alone. Presently, rules from various parts of the Code that were not intended to address construction activities are being referenced to regulate construction activities. Even with changes to the 2010 version, it is a struggle to understand which sections of the B149.2 are likely to be applied on construction sites by an inspector. The result is confusion for workers and trainers on what constitutes compliance, in-consistency in enforcement, and disagreement on the job site over safety. Moving Cylinders – When moving propane cylinders on construction sites by elevator, hoist, or escalator, it was only assumed that other clauses within the Code not specifically related to a construction site would not be referenced and applied on construction sites. The new specific clause with some modification for construction, makes the acceptable means clear to both users and regulators. It’s imperative that supervisors, propane technicians and those who deliver cylinders and bulk propane are familiar with the latest Code requirements. To be proactive, a person should order and obtain the latest editions of the Codes from CSA as soon as the Codes are published in August 2015. This will give an opportunity to train on the latest requirements and to understand the impact these new requirements will have on your company prior to their adoption by the Authority Having Jurisdiction in your province or territory. The Fuels Learning Centre offers training programs addressing the 2015 Code requirements for cylinder requalification (Visual Inspection & Requalification of Propane Cylinders – SO01) and the use of temporary construction heat (Construction Heaters and Propane Cylinders at Construction Sites – AV02). This article, regarding PRV change out challenges, first appeared in the 2015 May/June edition of Propane Canada Magazine. As a consultant, I often get asked by clients to look at the risk associated with performing certain tasks and to advise on what is the best way to complete those tasks. 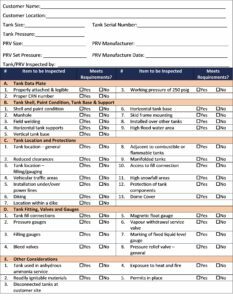 I was recently asked to look at the processes and training skills required for a company to successfully meet their regulatory obligation with respect to the replacement of pressure relief valves (PRVs) in consumer propane tanks. My review of this subject has led me to the conclusion that this is most likely going to be the most challenging regulatory requirement the propane industry has faced in its history. This single requirement will put a tremendous strain on the industry’s resources, people, equipment, and finances. Now that the regulatory requirement is in place to change out the PRV, it is time for serious discussion on how this is actually going to be accomplished. Removal and replacement of the PRV. These three steps sound fairly straight forward until one gets into the details of how this is going to occur. 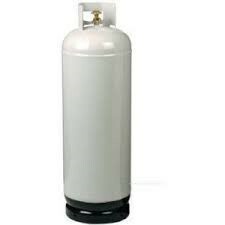 The majority of consumer propane tanks are not equipped with an easy method of removing the propane liquid from the tank. A limited number of tanks are equipped with a liquid withdrawal excess flow valve (Chek-Lok) mounted on top of the tank with a dip tube, or directly into the bottom of the tank that can be used to remove the liquid propane from the tank. If the Chek-Lok does not work properly, then you are back to the situation of how to remove the liquid from the propane tank. 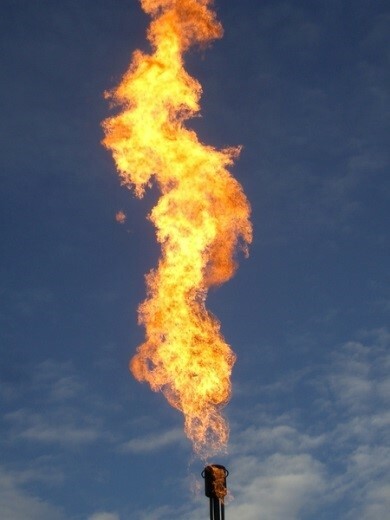 One method is to use a flare stack to burn off the propane within the tank. Depending upon the quantity of liquid propane in the tank, this is quite a time-consuming process that does not lend itself to being conducted at the customer’s location. Can you imagine flaring off a propane tank in the customer’s backyard? The flare stack creates a large flame and a lot of noise; not the type of situation that would make the public feel safe in their own homes. Also, you would have to notify the local fire department, who may want to attend, which is not a good scenario overall. Another option for evacuating the tank, which has been brought to my attention is the use of tank rollers to roll the tank so that the vapour space now becomes the liquid space. There is an adapter that can be connected to the fill valve to ex-tract the liquid propane by gravity from the tank to a pump to fill the new tank. This method requires the tank to be elevated so that the necessary fittings and connections can be completed. Unfortunately, this practice also puts the PRV in the liquid space, so if the PRV does activate for any reason, the liquid will be released to the atmosphere creating a rather dangerous scenario. 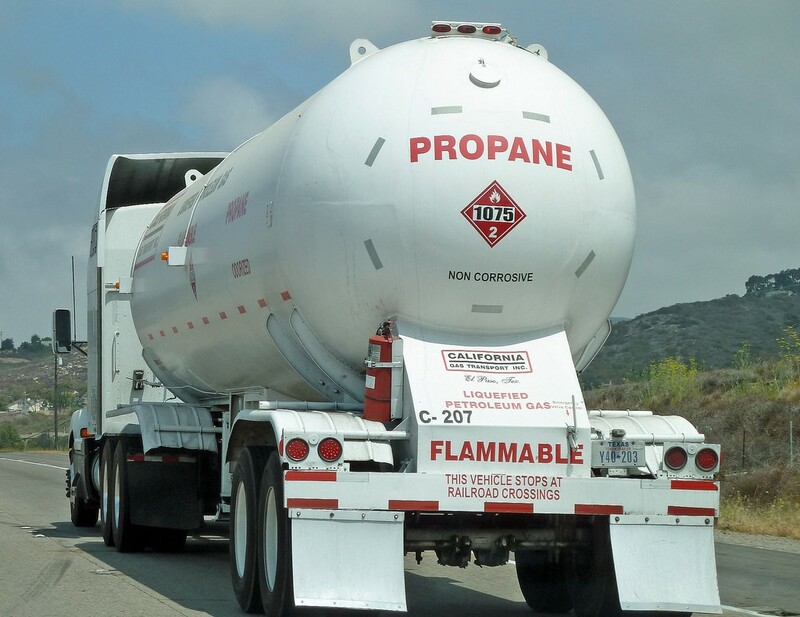 One of the major hurdles is the Transportation of Dangerous Goods requirement which only allows consumer propane tanks to be transported with a maximum liquid volume of 5%. This means that to transport a propane tank from a customer’s location to a location where the tank can be evacuated prior to PRV replacement, its volume must be less than 5%. Update: In 2016, Transport Canada issued an Equivalency Permit allowing members of the Canadian Propane Association to move tanks up to 500 USWG with more than 5% directly back to the propane bulk plant for evacuation under a number of conditions. While helpful, the permit creates other issues related to the transport of the tank since it will have to be secured on proper cradles to prevent movement of the tank and damage to the feet. Tanks larger than 500 USWG will still have to have the contents reduced to 5% or less of maximum capacity. It’s also important to note that Alberta Transportation once had a permit which allowed movement of ASME tanks to be moved with more than 5% capacity within the oil-patch. This permit was ultimately revoked due to flagrant misuse of the permit. Incidents involving misuse of this permit may result in revocation of the Equivalency Permit. One option is to allow the customer to use the propane in the tank so that the liquid level is below 5%. This approach is not a feasible way of reducing the pro-pane liquid volume to a point where the tank can be transported since the scheduling of the tank’s replacement will have to be carefully orchestrated so the customer does not run out of propane. Trying to schedule 30,000 propane tank replacements on an annual basis under this process seems to me to be quite a daunting task. Really, when one considers the options available: PRV replacement at the customer’s location or transportation of the tank to a central point, such as a bulk plant, replacement at the customer site does not seem feasible. So in essence, the only logical option is to exchange the customer’s tank and transport the old tank back to a central location where the PRV can be replaced in a controlled environment. There are approximately 750,000 propane tanks in Canada, which means the industry will have to exchange 30,000 propane tanks on an annual basis. Given that at best, one can expect to conduct this type of work during the 6 to 7 month period of April to October, this will require 4,285 tank exchanges per month. These numbers are based on every PRV having a 25-year change out as required by regulation. Unfortunately, the industry is faced with the problem of replacing PRVs which have currently been in service for 25 years or more, and playing catch-up to get to a position whereby the 4,285 tank exchanges per month can be completed. I don’t think anyone has a handle on exactly how many propane tank exchanges will have to take place on an annual basis for the industry to become current with this regulatory requirement. Every company will have a different schedule based on the age of tanks in operation. The CSA B51-14 Boilers, Pressure Vessels and Pressure Piping Code requirement for the replacement of PRVs does not provide for a phase-in period to allow the industry to deal with the existing PRVs that are currently in service longer than the stipulated change out times. This means that industry members will have to go to each provincial jurisdiction to work out a schedule of replacement so that PRVs in service beyond the change out times can be left in service until such time the industry can deal with them. If some type of change out schedule is not put into place, then the moment that the CSA B51 code is adopted in the province any PRVs that are in service beyond the time limits specified in the code would be considered non-compliant. The fuel supplier cannot supply propane to a non-compliant installation. In looking at the certification and Records of Training (ROTs) required to change out a PRV in a propane tank, one must consider working with both liquid and vapour propane, which can require separate training certification. The specific level of Propane Fitters Certificate required will be dependent upon the provincial requirements. Provinces have different descriptions for the levels of Propane Fitters Certificates and what the certif-cate holder may do. However, when handling liquid propane, a certified pro-pane fitter must also have a liquid propane (LP) endorsement attached to the certificate. Transfer the propane into a new tank brought to the site for the purpose, then transport the customer’s old tank back to a central location for PRV replacement. Remember, you cannot legally release propane to the atmosphere unless it is done as part of the transfer process i.e. through the fixed liquid level gauge. A Propane Fitters Certificate to shut down the propane vapour system and appliances, disconnect the pro-pane tank from the system; reconnect and reactivate at the end of the propane transfer process. If the liquid propane is transferred from the customer’s tank directly to a propane tank truck then a person with an ROT to operate the tank truck and conduct the liquid pro-pane transfer would also be required. Once the customer’s propane tank is back at a central location for the PRV to be replaced it will require the removal of the remaining liquid and vapour propane in the tank so that the tank’s interior pressure is 0 psig. Again in most jurisdictions, this will require the services of a certified propane fitter with an LP endorsement. Some jurisdictions will permit a person holding an ROT for the operation of a propane plant to transfer the liquid and vapour propane out of the tank. Since this article was first published in Propane Canada magazine, the Fuels Learning Centre has developed a comprehensive training course covering all the aspects of evacuating propane from the tank and how to operate the equipment required to conduct the evacuation. Regardless of where the evacuation occurs (customer site or at the propane bulk plant), our Evacuating Propane From Consumer Storage Tanks (SO03) course provides all the necessary instruction for employees involved in the process. Another issue for discussion is that by removing the PRV from a propane tank you are exposing the interior of that tank to the atmosphere. The regulations currently in place stipulate that if the interior of a propane container is exposed to the atmosphere, then it must be purged. The regulations do not stipulate any period of time, so in essence, once the PRV is replaced, the tank should be purged. To address this issue, testing is required to determine that if air does enter the tank during the PRV replacement, will the limited quantity have any effect on the operation of appliances connected to the tank. In addition to staffing being a major concern, I also see challenges regarding the acquisition of equipment required to simply change out a PRV. This includes the purchase of replacement PRVs and careful scheduling of crane trucks, tank trucks, tank moving equipment, compressors, pumps and flare stacks. In conclusion, this single regulatory requirement has a tremendous mushrooming effect in that there will be mandated up to 30,000 more propane transfers and approximately 60,000 more propane tank transports down our highways on an annual basis. 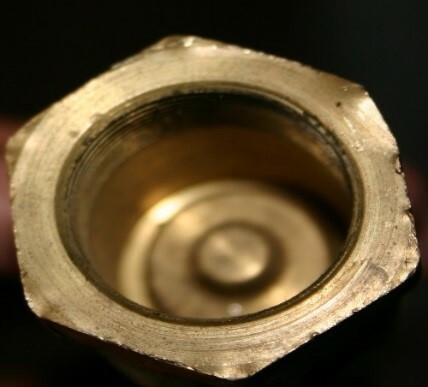 The industry’s actual experience of PRV failure is nonexistent, with only one reused PRV failure in 25 years as we discussed in our Knowledge Base article entitled “History of PRV Service in Canada“. One must question the increased risk of additional transfers and transports versus actual experience. This article, regarding the inspection of PRVs in propane service first appeared in the March/April 2015 edition of Propane Canada magazine. The publishing of the mandatory Annex H of the CSA B51-14 Boilers, Pressure Vessel and Pressure Piping Code, that requires the replacement of Pressure Relief Valves (PRVs) in propane tank service has brought the issue of PRV inspection to the attention of provincial Authorities Having Jurisdiction (AHJ). The staff at the Fuels Learning Centre were recently contacted by a provincial AHJ to see if we could assist them in researching the history of the use and failures with PRVs in propane tank service and propane tanks. The AHJ is looking at possibly mandating a PRV and propane tank inspection program on a yet-to-be-determined cycle. We provided a document representing a consolidation of information gained over the years. The document provided points to be considered by the AHJ in making a decision as to the mandating of PRV and tank inspections. The rationale for putting a mandated documented inspection cycle in place is to ensure that PRVs with a potential for failure are identified and removed from service prior to a failure. We consider a pressure relief valve failure to be when the pressure relief valve fails to activate in an over pressure situation, or opened or partially opened in a non-over-pressure situation. The mechanical components of the valve failed to operate as designed. Pressure relief valves are required to function under widely varying conditions. Corrosion, aging of the resilient seat disk, and friction all proceed at different rates depending upon the nature of the specific environment and application. Predicting the safe useful life of pressure relief valves is obviously not an exact science. The conditions to which the valve is subjected will vary widely and will determine its useful life. We are aware of only one incident, in the past 25 years in which a used external spring type PRV was reinstalled in a propane tank and subsequently failed as per the criteria for a PRV failure. There are approximately 750, 000 pro-pane tanks in Canada. All of these pro-pane tanks, regardless of size, are equipped with one or more PRV. The majority of the propane tanks are located at residences, farms, and commercial establishments. An industry standard practice is that the PRVs in propane service are visually looked at for any factors that could impair the operation of the PRV each time the container is filled. This prefill examination is not documented. Ontario is the only province that currently mandates a documented Inspection of PRVs in propane tank service and the propane tank on a three-year cycle. The person conducting the inspection must hold a valid Record of Training that permits the person to complete the documented visual inspection. The owner of the propane tank must maintain a record of the most current PRV inspection. If all provinces and territories followed Ontario’s lead and mandated a three-year cycle for PRV and tank inspection it would mean that approximately 750,000/3 = 250,000 PRVs would have to be inspected on an annual basis. The one saving grace in all of this is that the majority of propane tanks are visited at least once annually for refilling and the tank truck operator can be trained to perform the visual PRV and tank inspection while at the site. If tank truck operators are excluded from being able to perform the documented visual inspection and tank owners are forced to rely on certified propane technicians to conduct the inspection, an impractical situation for compliance will be created. There just are not enough certified propane technicians available to meet the demand for 250,000 annual inspections. The other issues to be considered include document creation and retention as well as training costs. There will be 250,000 documents to be created and retained per year. While one cannot put a cost on safety, the financial impact of training people to complete the inspection must also be considered for training sufficient staff to meet the demand for inspection. A properly sequenced checklist inspection document, supported by training, can assist the person completing the inspection to obtain all of the information required in a consistent manner. It is also an opportunity to develop a database on the age of PRVs in service to assist in establishing a replacement schedule to meet the requirements of the CSA B51-14 Code. We are currently aware of only one AHJ seriously looking at implementing a mandated inspection cycle; however, from a national perspective, it could be a daunting issue that will require a consolidated common national approach by the propane industry to ensure that the industry can meet the regulatory compliance. History has shown that specific provincial requirements have a tendency at some point to become a national requirement. If this occurs with PRV and tank inspections it will indeed create a potentially burdensome situation. To meet your training needs, the Fuels Learning Centre offers a version of its Tank Truck Operators training course which includes PRV and tank inspection embedded within the curriculum. This means the tank truck operator needs to take only one training program – Loading and Unloading Propane Tank Trucks Including Visual Tank & PRV Inspections (TO04), reducing training time and costs. We also offer a stand-alone inspection course for other personnel who need to learn these skills – Visual Tank & PRV Inspections (SO02). This article, related to the impact of propane regulatory changes to lessors of construction heating equipment, was initially prepared for distribution at the Ontario Chapter of the Canadian Rental Association’s 2015 annual meeting and trade show. Over the past several months, the Fuels Learning Centre has been pleased to provide information pertaining to changes to the regulations affecting the use of construction heaters and cylinder storage at construction sites. This information was printed in three recent Canadian Rental Association (CRA) Ontario newsletters. This article provides a summary of the propane regulatory changes that have been amended, added and deleted in the CAN/CSA B149.2 Propane Storage and Handling Code that affect the use and storage of propane cylinders and equipment at construction sites and industrial storage. In 2015, the Canadian Standards Association (CSA) will issue new versions of the B149 Codes scheduled for release by CSA in August 2015. The 2015 Codes are meant to replace the current 2010 Codes in use. For the propane construction site user, it can be a challenge to determine what has been deleted, added or amended, since the last Code was published. The 2015 editions of the Code is the completion of a 5-year code cycle that CSA uses to keep the Codes updated to address new technologies, new installation materials, and changing building environments. Provincial Regulations require the lessor of a construction heater to ensure that the lessee is instructed in the safe installation and use of the construction heater and its components and that persons who install propane cylinders and propane fired construction heaters and torches hold a recognized Record of Training (ROT) for the purpose. This does create some issues as the current Record of Training (ROT) retraining requirements are once every 3 years, which means that people can actually be working in the field for up to 3 years before they are trained on the new regulatory requirements. Given that 2015 is the year for the issuance of new codes it may be advisable for employers in certain segments of the industry such as gas technicians, propane tank truck and cargo liner drivers, cylinder truck operators and construction site operators, to have their employees trained on the new requirements rather than wait until such time that the person’s ROT is up for renewal. The adoption of the 2015 Code is done by each province and territory separately with some Authorities Having Jurisdiction (AHJ) adopting the Codes immediately and others taking several years. A person must use the most current Code adopted in their Province or Territory for new or upgrading propane installations. In addition, each Province or Territory can, when adopting the Codes add, amend or delete clauses from the Code by way of their Code Adoption Document (CAD). The Technical Standards & Safety Authority (TSSA) issued an amendment to their Propane Code Adoption Document which is effective October 1, 2014. TSSA felt that new requirements in the 2015 version of the Code were considered important to be implemented in Ontario right away and addresses gaps in the current Code to enhance safety. In particular, the new requirements pertaining to cylinder use and storage at construction sites became effective as of October 1, 2014. Once the Codes and Standards are adopted there will be an immediate training need for persons who perform work that is regulated by these documents. In Ontario, this was October 1, 2014, which means training programs must reflect the latest regulatory requirements as of October 1, 2014, for Ontario and in other provinces later in 2015. Construction heater lessors should ensure their training providers have updated their programs to reflect the new requirements. The Fuels Learning Centre currently offers three programs related to the safe installation and operation of construction heaters and torches reflecting all the new regulatory requirements. If training is required on both construction heaters and torches, then AV01 is the correct course to take. If training is required only for construction heaters, then AV02 is the correct course while AV03 focuses on hand-held torches only. The new term defines a Construction Site as “a temporary worksite involving construction activities such as the erection, alteration, and dismantling or demolition of a building or equipment, re-roofing of a building, or digging”. The term was added to identify that the handling of cylinders and propane apparatus in use or in storage at construction sites are subject to significantly differing situations. Clause 5.10 originally restricted cylinders from being installed under any fire escape, stairway, or ramp used as a means of egress from a building. The clause has been amended to read “container” so the restriction now applies to both cylinders and tanks. 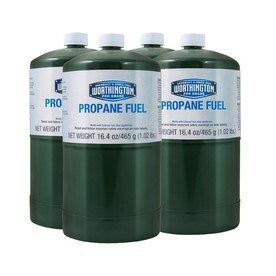 Means a propane container that is properly connected to an approved appliance in accordance with the provisions of this code. The rationale behind adding this new term relates to disputes which have occurred in the field over whether or not cylinders that are properly connected to an appliance that is not running, and which may or may not be turned on for use, are in storage and therefore subject to the requirements for storing cylinders. Properly connected cylinders that remain connected for use, intermittent use, or future use, should not be subject to storage requirements. Cylinders in storage or connected for use, cylinder-regulating equipment, or a cylinder manifold, shall not be exposed to temperatures in excess of 125 degrees Fahrenheit or 50 degrees Celsius. This clause was added to limit the temperatures to which propane cylinders, regulating equipment or cylinder manifolds can be exposed. Clause 6.1.2 was amended to harmonize with US requirements. NFPA 58-2008 states that cylinders with 4 lb. (1.8 kg) through 40 lb. (18 kg) propane capacity for vapour service shall be equipped or fitted with a listed overfill protection device; the current Canadian requirement starts at zero, not 4 lbs. (1.8 kg) as in the US. The Clause now states that except for (a) cylinders used in industrial truck service; and (b) cylinders identified and used for industrial welding and cutting gases, refillable vapour service cylinders manufactured after January 1, 2008 with a capacity of 4 lbs (1.8 kg) through 40 lb (18.2 kg shall be equipped with an overfill prevention device (OPD) in compliance with UL 2227. Operators of propane torches must be aware of this requirement to ensure the cylinders to which they are connecting hand-held torches are equipped with an OPD valve unless the cylinder was manufactured before 2008. It’s important to note that when cylinders are requalified, an OPD valve will be installed, therefore, the only cylinders that may not have an OPD valve were those manufactured between November 2004 and January 2008. Propane cylinders must be visually inspected and requalified once every 10 years starting with the date of manufacture. Clause 6.1.5 has been amended to remove the previous requirements for the 10-year cylinder inspection and requalification from the Code. The clause now states that refillable cylinders shall not be refilled if they are due for requalification as prescribed by requirements of the CSA Standard B339 Cylinders, Spheres & Tubes for the Transportation of Dangerous Goods. Users of propane cylinders at the construction site should be aware that a cylinder cannot be refilled if the requalification is past-due. Clause 6.4.5 has been amended to clarify that Specification TC-39M and aerosol containers cannot be refilled. In addition, Clause 6.5.1.4, which deals with the number of aerosol containers and TC-39 non-refillable cylinders which may be stored in a dwelling, was amended for correctness. Single-trip small capacity propane cylinders are often used on the construction site and the site manager should be aware of the storage requirements and that these cylinders cannot be refilled. The scope of the Code has been amended to include maintenance as a requirement for containers and equipment to be used for propane at customer locations, in distribution locations, and filling plants. The rationale for this change was that regardless of who owns the propane storage container, be it the propane distributor or customer, the container must be properly maintained. Safety requirements for systems and components should not be different for various owners. The Code was amended to delete the 20 lb. maximum cylinder size that may be stored at a cylinder exchange. The rationale provided is that due to a demand from RV customers, 30 lb. cylinders are being offered at exchange locations. The safety concerns of 30 lb. cylinders are not different from those of 20 lb. cylinders. Maintaining the cabinet maximum capacity of 500 lb. (25 x 20 lb., or 16 x 30 lb., or combination thereof) maintains the same risk and requirements of a single full exchange cabinet. not be located against other objects, or have objects attached that restrict ventilation. To clarify requirements for storing cylinders Clause 6.5.1.5 has been amended to require that any cylinder in storage shall not be exposed to an open flame or other sources of ignition, and shall be protected from tampering or damage by fencing or equivalent means. Clause 6.5.3.1.2 has been amended to clarify the storage requirements, the clause indicates that a stored cylinder shall be located in an area that complies with the requirements of 6.5.3.2., and the storage area shall be outdoors. When the conditions of this clause are met, a storage area utilizing a structure with overhead protection, walls, or both, meets the intent of outdoor storage. There are no wall openings through which gasses could travel into another structure or building. Cylinders may be stored in a cabinet that meets clause 6.5.2.4, in the storage area. A storage area may be on a roof of a structure or building provided the conditions of clause 6.5.3.9 are met. 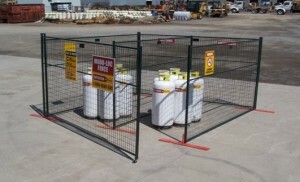 Portable fencing used to house stored propane cylinders at a construction site. These amendments clarify acceptable “outdoor” storage by identifying proper and safe storage options that reflect conditions on construction sites, and is based on the hazards (gas accumulation, vehicular traffic, hoisting, etc. ), rather than focusing on the location alone. Presently, rules from various parts of the Standard that were not intended to address construction activities are being referenced to regulate construction activities. Even with changes to the 2010 version, it is a struggle to understand which sections of the B149.2 are likely to be applied on construction sites by an inspector. The result is confusion for workers and trainers on what constitutes compliance, inconsistency in enforcement, and disagreement on the job site over safety. meets the requirements of table 6.3.
be stored in an area that meets clause 6.5.1 and 6.5.3.9. The rationale behind these amendments is that construction sites occur under a variety of wide-ranging circumstances. Storage requirements that are intended for industrial settings are too limiting and expose cylinders to hazards associated with construction activities. Cylinder storage on construction sites requires reasonable objectives which also address the worksite hazards. if by public passenger elevator or escalator, only the person(s) involved with the cylinder shall be in the elevator or on the escalator. When moving a propane cylinder to or from the roof or one level to another of a building, each cylinder valve outlet shall be closed, plugged and the valve protective cap or collar in place. New clause 6.5.1.14 permits propane cylinders to be stored on roofs. Cylinders to be stored on roofs must meet certain conditions. The clause directs the reader to a specific clause 6.5.3.9 that details the conditions under which a cylinder may be stored on the roof of a structure under construction. The Clause indicates that a cylinder which contains propane liquid or vapour shall not be stored on the roof of a building unless it is stored in accordance with clause 6.5.3.9, or connected for use in accordance with clause 6.8. 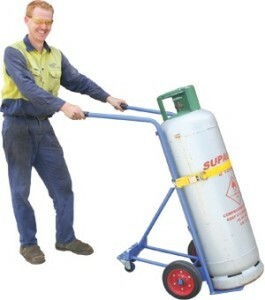 A propane cylinder shall not be on the roof of a building unless the cylinder is to be connected for work undertaken on the roof during the current or the immediately following work shift. all cylinders shall be removed upon completion of the work. Cylinders properly connected in an approved manner to the appliance it serves shall be adequately secured from inclement weather. No more than 1,000 lb. (450 kg) of propane in total capacity shall be stored on the roof. These amendments provide the following benefits. Retains the original intent of the 2000 change regarding cylinder storage on rooftops for permanent appliance installations – limiting rooftop cylinder storage on permanent installations. Provides clear guidance around cylinder use and storage on rooftops for roofers. Provides for storage of cylinders on the roof to reduce the number of times cylinders are hoisted, lowered, and manhandled, and the hazards associated with moving cylinders, and to address storage security. Limits roof top storage to a practical number of cylinders. Adds additional protection for firefighters with a new requirement to post signs at occupied buildings.